We are surrounded with sound all day every day. But are our students actually listening? Every teacher in your school would like to have students in their classes that are better listeners. Here are some ways that music teachers can really help the students improve their listening skills. 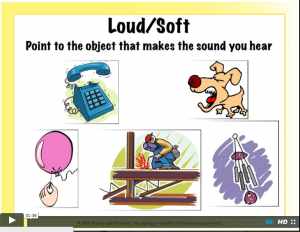 Make students more aware of sounds in their environment. 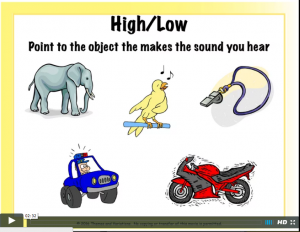 The first activity in the Listening Resource Kit 1 is listening to sounds around us and identifying them. This activity is now a movie at www.musicplayonline.com. (The Listening menu is on the left-hand tool bar, and this movie is in Kit 1) The movie is only 90 seconds long. 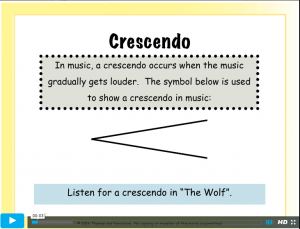 Students hear five sounds and they point to the sound they hear. The answers follow. 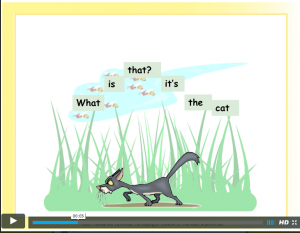 Follow this actitvity with a classroom listening exercise. Have them close their eyes for 30 seconds, then write down all the sounds that they can hear in the classroom. 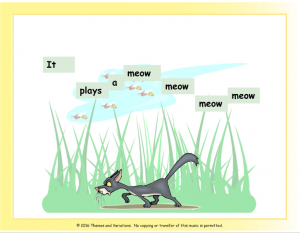 I do a lesson on long and short sounds with preK – Gr. 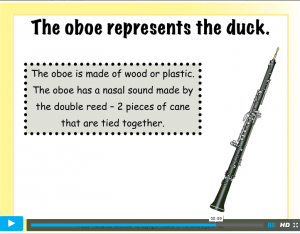 2 using unpitched instruments. 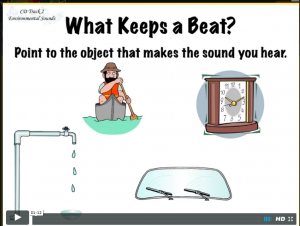 Play a sound on a finger cymbal and then play a sound on rhythm sticks. 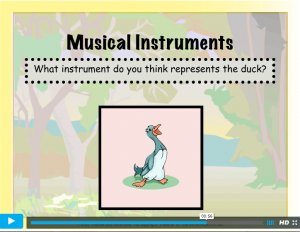 Ask the students which instrument made the short sound and which made the long sound. The finger cymbals produce a sound that sustains for a long time! Ask the children to close their eyes, and tell them not to open their eyes up until the sound of the finger cymbal has disappeared. 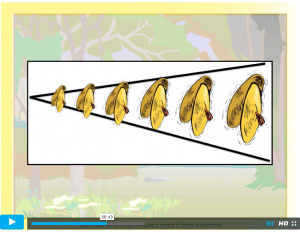 Play the finger cymbal and watch to see how long your students keep their eyes closed. What Keeps a Beat, Fast/Slow, Loud/Quiet and High/Low. After watching these movies, start a classroom list of sounds that keep a beat and sounds that are fast/slow etc. Give the students a homework assignment. Ask them to listen at home for sounds that keep a beat and add them to your list the next time you see them. My little ones in PreK don’t fully understand these concepts, especially high/low, even after 10 lessons. 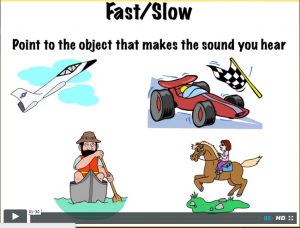 Revisit this often so that all your students understand these basic concepts. 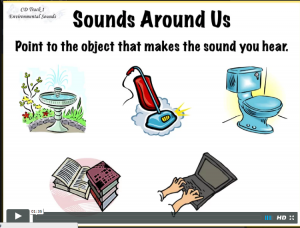 Another resource that will help your students be more aware of sounds around them, is the first of the So-me stories by Stuart Manins – So-Me Goes Missing. In this story, the main character, So-me, can’t be found. His mother, father and brother look for him all around the house and the neighbourhood, but he can’t be found. 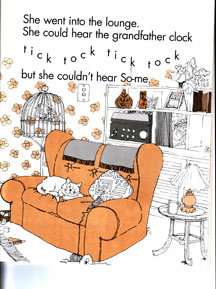 As they look, they hear many sounds such as a clock ticking, a dripping tap, the wind in the leaves, and a fly caught in a spider’s web. In the end, So-me wasn’t lost at all – he was laying behind the couch with headphones on listening to music. Stuart Manins has very graciously given permission to post movies of the So-me stories on www.musicplayonline.com. We’ll be posting the movies in the Listening section next week. If you prefer to have a print copy of the stories (and they really are a treasure) we still have them available. Go to musicplay.ca, then scroll down the left menu until you see Storybooks. 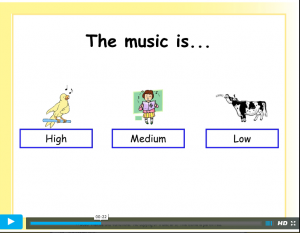 We are still doing final edits to the Listening Kit 1 movies that are on musicplayonline.com, but the 41 listening selections that are posted provide you with a wealth of listening activities to use with PreK – Grade 3. 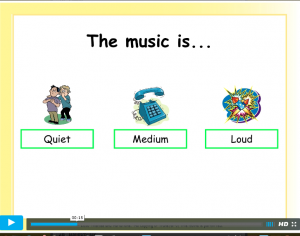 For each selection there are 1-7 movies: Listening Map, Composer, Movement, Play Along and Kids Demos. 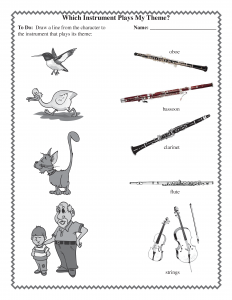 All movements from Carnival of the Animals, the themes from Peter and the Wolf AND the entire story, and 12 additional selections by Mozart, Handel, Chopin and more! The movies teach and reinforce many concepts. 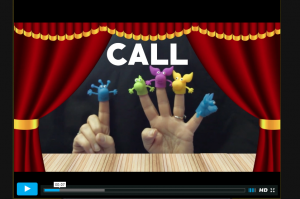 One of my favorites is “Galliard Battaglia” that teaches call and response using finger puppets! 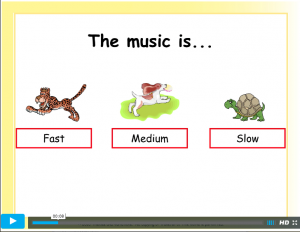 Enjoy using these movies at www.musicplayonline.com and get your student’s listening! 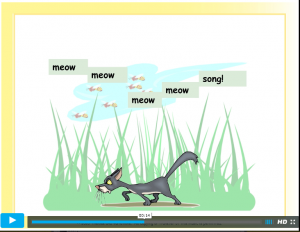 This entry was posted in Lesson Plans, Listening Lessons and tagged Denise Gagne, environmental sounds lesson, fast slow lesson, high low lesson, listening lesson plans, Listening Lessons, loud quiet lesson, So-me storybooks on May 28, 2016 by Denise Gagne.